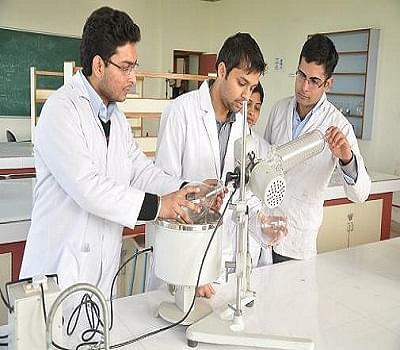 Swami Vivekanand College of Pharmacy - [SVCP], Punjab, is one of the few top colleges offering Pharmacy in India. The college is a part of the Swami Vivekanand Group of Institutions and was founded by Shri Raghu Nath Rai Memorial Educational Charitable Trust, Mohali. The laboratories in the college are designed with all the modern facilities so that the students do not face any problems while conducting experiments crucial to the subject. They use all the modern equipments such as Karl Fischer, Rota Vapor, etc. The college is located on the Chandigarh-Patiala National Highway and hence it has no connectivity problems, therefore, can be reached easily. Mr. Ashwini Kumar Garg, the Chairman, is a strong personality with a lot of years of experience and is leading the college on the path of success. It offers pharmacy related courses in both graduate and postgraduate segments and has an anti-ragging cell for the safety of the students as safety of students is one of the goals of the college. 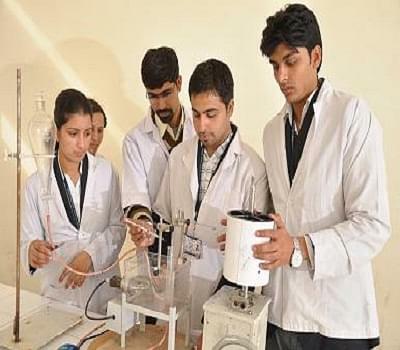 Why to join Swami Vivekanand College of Pharmacy? Swami Vivekanand College of Pharmacy has modernized infrastructure facilities to facilitate the students’ studies. They have made a very conducive environment for students to study and, therefore, have provided all modern facilities. This helps the college students to study comfortably and concentrate only on studies. Facilities such as sports complex, library, hostel are some of them. Swami Vivekanand College of Pharmacy guarantees placements to all its students and helps them get to their dream jobs by providing them all the necessary training and inputs from various industry experts in the form of presentations, case studies, guest lectures and much more.